I honesty wasn’t expecting too much from the Genuine Leather Wallet Stand Folio Case by 1byone. However I am very impressed and love it. 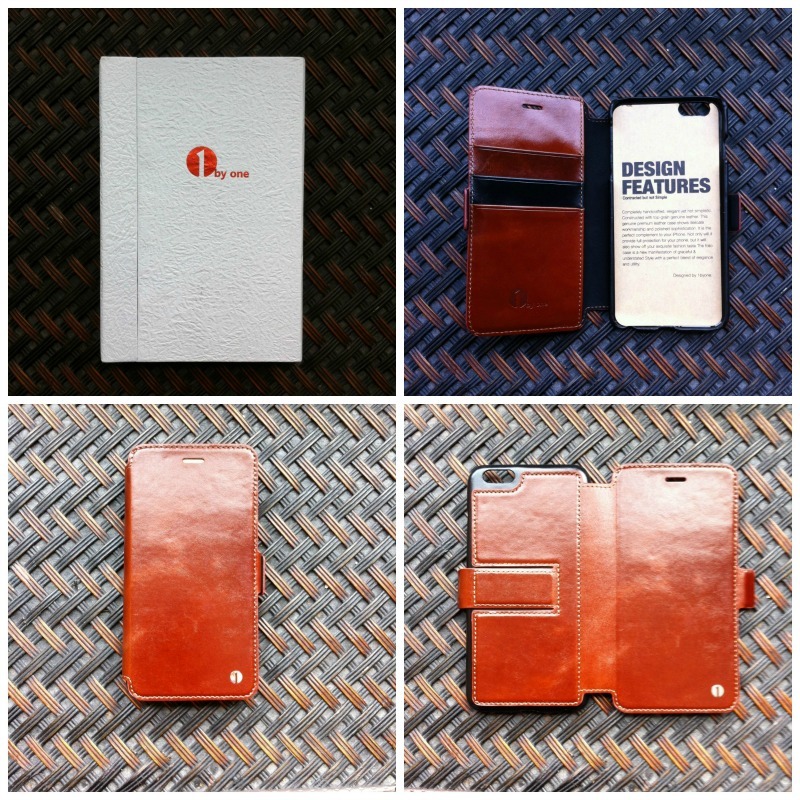 The color is a classic brown, which is perfect for a leather wallet. It’s made of premium, waxed, real leather with a small, elegant (not overstated) silver logo. It has consistent stitching throughout and is the folio type, which I personally like, both for the added screen protection, and ease of use. The leather also has a single cut out for the iSight camera, rear microphone, and flash. The fold-over magnetic clasps have reasonably strong magnets for easy opening and closing, and the case also a wallet with 3 cardholder pockets and a full-length pocket. The clasp from the back to the front also folds back on itself to link up the opposite way and create a stand for watching videos etc on the phone. The Genuine Leather Wallet Stand Folio Case by 1byone is perfect for carrying my phone, credit cards, ID, money and my house key for when I’m just running errands and don’t fee like taking my purse of for going for a walk. The Genuine Leather Wallet Stand Folio Case by 1byone is available in brown, black and wine red (burgundy). It lists for $56.99 and is currently on sale for $20.99 on Amazon. This arrives in a really nice giftable box too!